Plastic: burn it or throw it away? A hundredweight of cast iron: turn it in for money or just leave it? And what do Jews have to do with anything? 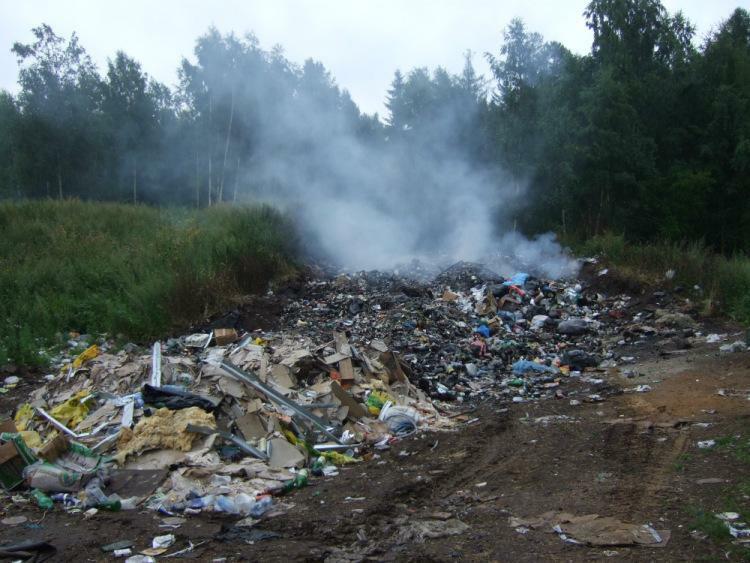 On the eve of World Environment Day, Snob introduces you to people involved in something quite unusual in Russia: waste sorting. Petersburg has five million residents. Four of them are involved in waste sorting. That would be us, Collection Point [Tochka sbora], and our several thousand customers. We put our green trailer in a supermarket parking lot south of the Obvodny Canal. We accept almost anything recyclable. If you could see the people who bring us their trash. A handsome young deaf man who looks like DiCaprio. A young woman with a pet raccoon. Little old grannies who tell us nothing should go to waste. University lecturers whose courses we once attended. 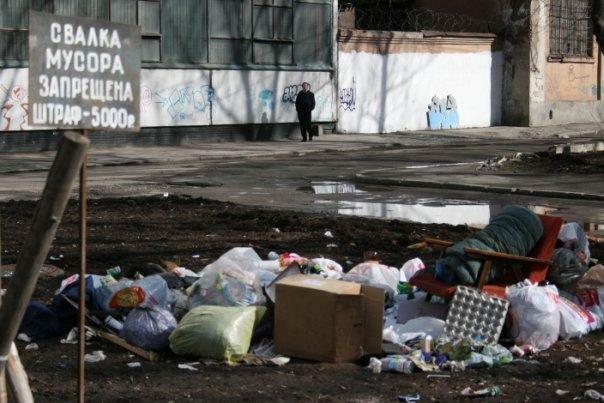 Lena, a rural agronomist, who comes from Leningrad Region once a month with a trunk full of garbage. Darya, a ballerina and biker who collects broken dishes all over the city and makes mosaics from them. We help her out. There is also the middle-aged woman in a beret who brings us newspapers and empty kefir bottles, and pushes her theory on us every time she comes. She freezes, her mouth twisted to one side. In a couple of weeks, however, she will be back again with her bottles, and the conversation will be repeated. They say you can earn big money on recycling. Certain types of waste are actually worth something, such as waste paper or metal. But the collection and recycling of everything else, such as glass and especially petroleum-based plastics, are subsidized the world over as a long-term investment that will bring future environmental benefits. We accept everything free of charge. The profit from the metal and paper covers (or, should cover) the losses from handling the non-valuable types of waste. We are making a go of it. But so far a lot of independent action is demanded of our customers, for example, washing and sorting plastics into four categories, and remembering what we take and when we take it. The most amazing thing is that they do it. A Plastic Icon: Burn it or Throw it Away? Two priests, one younger, one older, often stop by. The young priest, Father Sergius, skips along: he is overflowing with the joy of life. He once shared a moral and ecological dilemma with us. His parishioners often drag cheap plastic icons to church. You cannot really throw them away, can you? The only dignified way of disposing of sacred items is burning them. But burning plastic is bad for the environment. For the time being he has been piling them up because he cannot decide what to do. Father Vladislav carefully cuts the labels off of bottles of Sacred Spring brand mineral water. I tell him not to bother. We take them as they are, with the labels on or off. It turns out he collects the labels separately and burns them, because the spring is sacred, after all. But it wasn’t this that impressed me about him, but the expression on his face when I told him there had been a fire at the collection point. The only other person I have seen with a face like that was a psychotherapist. It expressed not just compassion, but an absolute willingness to delve into the problem, to hear me out and draw me out, and to do it as necessary and as long as necessary. It was a professional reflex. Another regular customer is Svetlana, a veterinarian and former top model. Having conquered the modeling business, she has switched to saving kittens. She catches them, treats them, sterilizes them, and finds them a home. For every cat she treats and gets adopted, there are ten more cats that end up on the streets and multiply wildly. Svetlana cares about the environment. She lives according the zero waste principle, recycling everything she can. Once she crawled into a basement to save kittens that had got stuck there. She somehow managed to tear off the metal grating covering the basement window. She telephoned me to ask whether I knew where there was a scrap metal collection point nearby. She wanted to recycle the grating. She dragged it there and turned it in. She got four rubles for it. We have more female customers than male customers. Many women get it after having kids. They think hard about the place where heir children are going to be living and what they will be breathing. Fumes from waste incineration plants? There is a special category of customer we have dubbed “the wife sent him.” Women often send us their husbands or boyfriends with the recycling. The men promise to take care of everything, but in fact they toss their bags any which where, making more work for us. And some men just toss the recycling in the nearest dumpster. We try and warn gals with environmental impulses that they had better rely only on themselves. They say the customer is always right, because he or she brings in the profits and can go to your competitors. That works in stores and restaurants, only not in our business. We have no competitors, and there is no question of making a profit, only of surviving. But we also get our share of customers who are always right. For example, we do not accept light bulbs or plastics that are hard to process, such as polystyrene packaging and polyvinyl chloride. Exactly. It is people who have achieved nothing in life who work with trash. Why should successful people even listen to them? Fortunately, we have other customers. For example, Alexander, the plumber at the Institute of the Arctic and Antarctica. He brings his own trash and always stays around to help. He and I once spent several hours in a row breaking down and flattening a large number of boxes. By the way, in the midst of heavy physical work, people always switch to the informal “thou” [ty] form of the second-person pronoun. It just somehow happens of its own accord. When the work is over, they switch back to the polite “you” [vy] form. That same plumber also bought us recycling collection bags at a time when we were having to choose between buying the bags and eating dinner. He also once hired us to sort through piles of junk in the basement of the institute, which spared us the choice for a couple of weeks. Thank you, Sasha! I have already said there are four of us. We are Collection Point, a tiny firm consisting of four people. The guy who started it all is Igor Babanin, the founder of Greenpeace’s Petersburg office and designer of an experiment in waste sorting that covered nearly the entire city in the noughties, but then fizzled out. Nowadays, Igor has shouting matches with building janitors, ships waste paper, does our miserable books, and in his rare spare moments pens vicious neo-Malthusian texts. Dmitry Kuznetsov is professional ecologist, and works for us as a driver and loader. It is a total mystery how Dmitry’s GAZelle van is still running. Life-threatening breakdowns somehow fix themselves. Dmitry used to work as an environmental inspector. He met a femme fatale on a fishing vessel. Between kisses, the beauty queen tried to persuade Dmitry to permit her to use a bottom trawling net, an infernal bit of fishing tackle that is dragged along the bottom of the sea, destroying everything in its path. Dmitry refused to give her permission. Now he works with us. But he still remembers the beautiful woman. Andrei Madyarov is a chemist by training, a builder by profession, co-founder of the RazDeln’nyi Sbor [Separate Collection] movement, and a near-legend in environmentalist circles. And he impressed me so much I even married him. And there is me, too. Separate waste collection is a popular topic. Yeah, it would be a good thing. 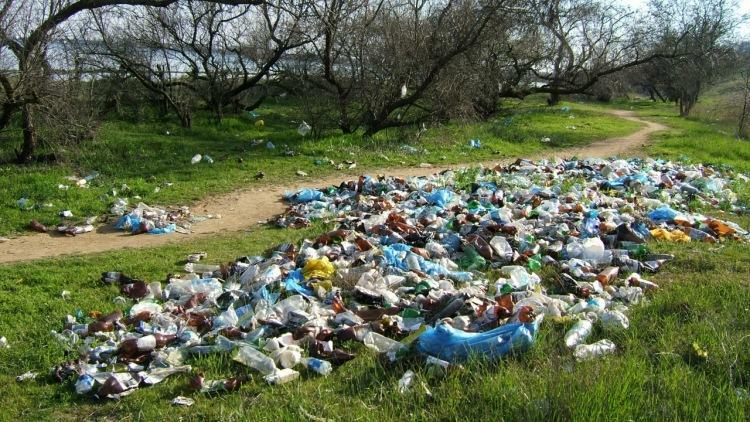 Yeah, the landfills are growing. Yeah, recycling is much better for the environment. But what are we to do if our government is the way it is, and we ourselves are lopsided? In Europe, however . . . There is no legal framework for what we do. We do not have the support of a core business, and however much we would like to do it, we are not going to make everyone happy by doing separate waste collection. We do what we can. And, despite the difficulties, it would seem we have done the impossible. On a daily basis we see people taking responsibility for their own waste, meaning they are gaining control of their own consumption and their own lives. If a person has once thought hard about the resources spent on producing goods and what happens to the things thrown into the trash, no advertisement will ever get to her again. Basically, our provisionally commercial organization is supported by the commitment and awareness of these very same people. It is a model of the green economy, which, allegedly, cannot be built, because “people are not that way.” Our people are that way.